This footage of a physics-driven, motion-controlled robot brawler not only looks amazing, but also features an extremely clever VR control mechanic we’d love to get our hands on. Of all the sub genres I’d ever considered as “things I’d love to play in VR”, one-on-one robot brawling games wasn’t one of them. 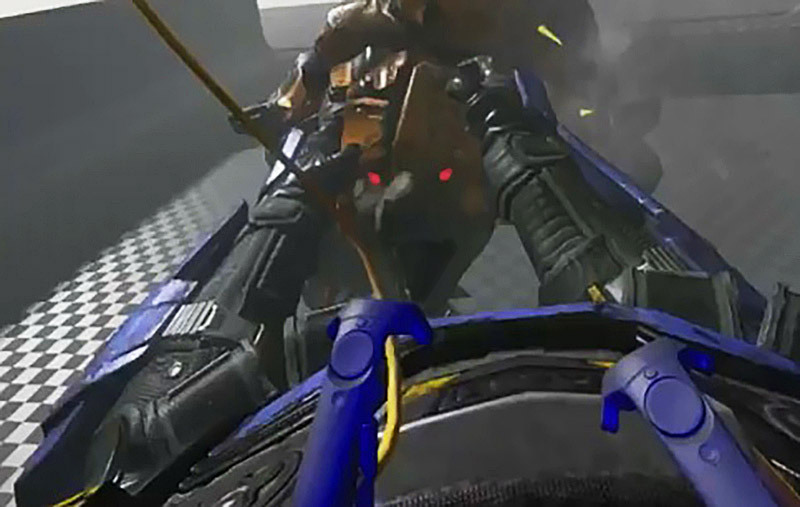 But a developer on twitter, snowskin (@snowdehiski), has released footage of a prototype VR experience for the HTC Vive which puts your in direct motion control of your own giant mech and asked you to punch the hell out of a giant mech-monster. It reminds us in more than a few ways of Pacific Rim (2013). The reason why this looks so promising though is not just that it features big robots (although, clearly it’s off to a head start there), but because of fusion of physics and a neat decoupled motion control system. By that I mean your in-game hands, as represented the Vive’s controllers, do not directly map to the robot’s arms; rather, you operate virtual controls which do that instead. This means that there’s comfortable visual parity with your own hand movements and in game controllers whilst allowing the robot’s arms not to follow 1:1 to your movements. This helps with in-game clipping and in general, as your arms are punching thin air in both the virtual and physical world, there should (in theory) be less immersion breaking. It also allows much more believable animated contact between the in-game robots as they’re not slavishly following your every action. There’s also opportunity for a sense of momentum as the robot’s arms can trace a slower path than your own, alluding to their weight without making the user themselves feel sluggish within the virtual world. This issue of in-game motion not matching physical feedback is one of the trickier faced by VR game designers, with the HTC Vive featuring 1:1 tracked controllers out of the box and Oculus’ Touch controllers on their way soon. One game which demonstrated an interesting way to deal with this issue at E3 this year was Oculus Rift and Touch title, Wilson’s Heart. 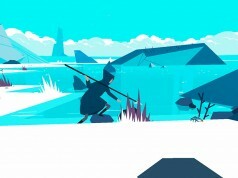 As you can see from the trailer below, segments of the game which require motion control interaction with virtual scenery or props allow a level of ‘drift’ between your in-game hands and the relative position of your real hands – represented in the game as a ghost version. There’s no indication if this impressive looking experiment, which appears to be under the working name Big Robot, will see the light of day as anything other than a prototype. If not, we can but hope @snowdehiski considers releasing the WIP version, as I really want to try it out. This is great! I want it in VRPORIZE!